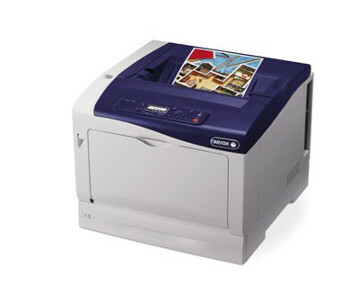 Xerox Phaser 7100 Office SettingXerox and McAfee have joined forces and revealed new protection against malware and viruses with the first networked multifunction printer to use McAfee Embedded Control software. The two companies claim that this new software is a sophisticated filtering method that allows only approved programmes to get through. While most people believe that malware threats are usually only associated with personal computers, Xerox demonstrated to attendees at the McAfee FOCUS 12 security conference that any networked device is vulnerable. “When a multifunction device receives data and processes it for printing, copying, scanning or faxing, it becomes susceptible to malware attacks – a susceptibility that often is overlooked,” said Tom Moore, vice president, Embedded Security, McAfee. 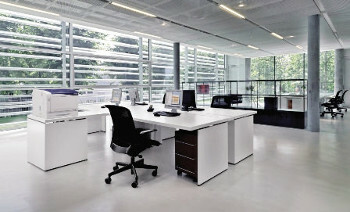 The Xerox and McAfee security solution has been designed to simplify processes for IT administrators by embedding software into a multifunction device’s controller (the machine’s main onboard computer).The aim is to provide an immediate alert and audit trail to track and investigate the time and origin of security threats and then allow appropriate action to be taken. As a consequence, Xerox and McAfee maintain that this will eliminate the need for IT administrators to constantly stay on top of malware threats and proactively block them. Climax Portable Machining and Welding Systems is the company testing the technology as David Richardson, the company’s network administrator explained. Recent survey data from Xerox and McAfee seems to underscore the need for embedded security in networked printers and multifunction devices. In a poll of office workers taken earlier this year, more than half replied that they either don’t always follow their company’s IT security policies or aren’t even aware of the policies. – leaving the security of customer credit card numbers, financial reports, and human resource and tax documents at risk. The survey also showed 39 per cent of employees who copy, scan or print confidential information at work say they wonder (at least sometimes) whether the information on a networked device will remain secure. Xerox Phaser 7100“IT administrators don’t always consider printers as a threat – and with the Embedded Control software, we’ve put up even more defences in our products so they don’t have to,” said Rick Dastin, president, Xerox Office and Solutions Business Group.